What can service records reveal? Since starting my traineeship at the Norfolk Record Office I have read extracts from a number of diaries from the World War One era, and have found them a fascinating insight into the lives of soldiers. However, I had never really given huge consideration to service records, and how much they reveal. In the autumn, the Norfolk Record Office will hold World War One workshops for schools. As part of the workshops, pupils will recreate a life sized soldier using information gathered from service records. In preparation for these workshops I have been reading a number of service records of men who stated that they lived in Norfolk. 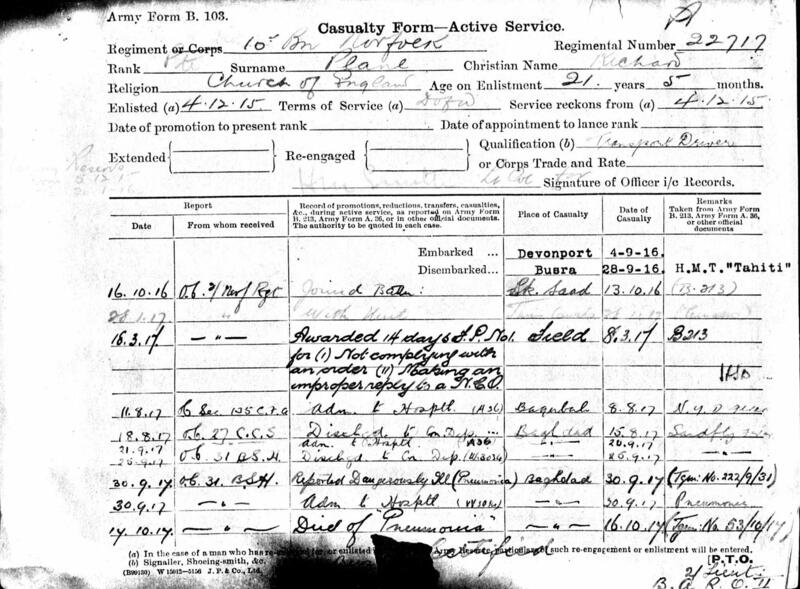 I have found the experience of reading these service records both interesting and moving. Even though the information provided is restricted by the fact they are based on printed forms and tables, it is possible to flesh out the story of a soldier from this bureaucratically formatted information. For instance, there is Charles Abbs, a man who stated his trade was ‘professional footballer’. From a quick Google I found that he is listed as playing his debut game for Norwich City on 24 October 1914. 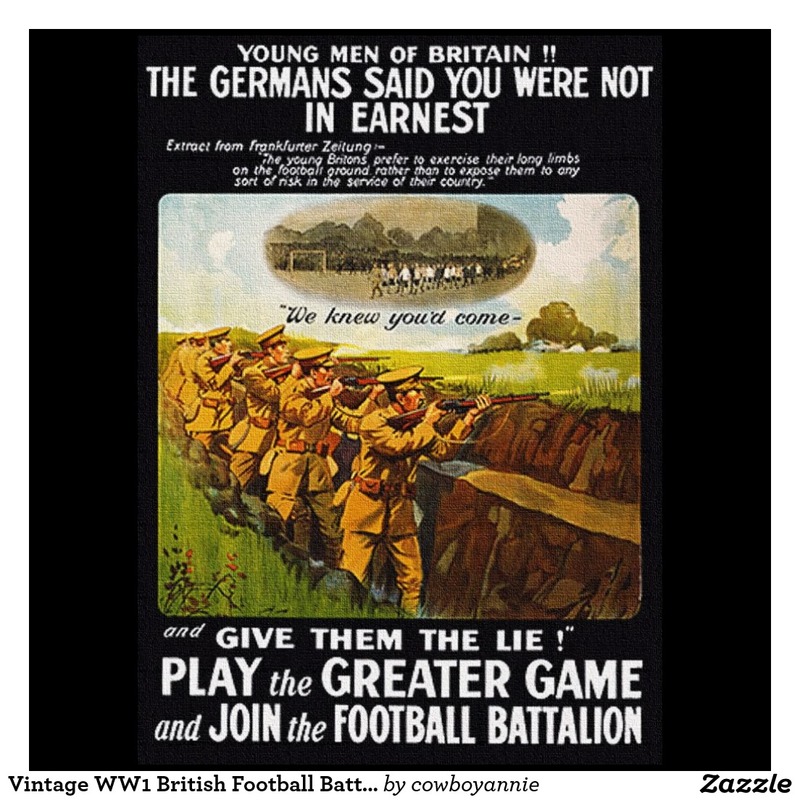 He joined the 17th Middlesex (the footballers’ battalion) in 1915. The 17th Middlesex was raised at a meeting in Fulham Town Hall on 15 December 1914. Charles Abbs was captured and became a prisoner of war from 28 April 1917, for a total of 261 days. He survived the War but was ‘30% disabled’ and injured in his breast and thigh. Another compelling story is that of 21 year old Richard Plane. His service record shows that for ‘not complying with an order’ and ‘making an improper remark to a N.C.O’ he was given fourteen days field punishment Number 1. This form of punishment consisted of the convicted man being placed in fetters and handcuffs or similar restraints and attached to a fixed object, such as a gun wheel or a fence post, for up to two hours per day. Later that year Plane died in hospital of pneumonia. But what’s also interesting about service records is what they don’t reveal. In the service records of George William Baldry, there is a memorandum and part of it is a note from his wife saying that Mr Baldry has stopped sending his allowance to her, and she asks why she hasn’t received anything. Why would he have stopped? Also, 17 year old Robert Edward Forsythe was promoted to Corporal on 26 September 1914. But after this point he starts to commit a number of offences such as overstaying leave, irregular conduct, and neglect of duty while in charge of brigade guard. Then on 10 May 1915 on request he changes rank back to Private. Was he misbehaving because he didn’t enjoy being a Corporal? I wonder what other stories are held within the 2.8 million service records that survived the World War Two bombing…do readers of this blog have any interesting stories or things they’d like to share relating to Service Records? This entry was posted in Local collections, Schools, Sport and tagged football, punishments, service records. Bookmark the permalink.